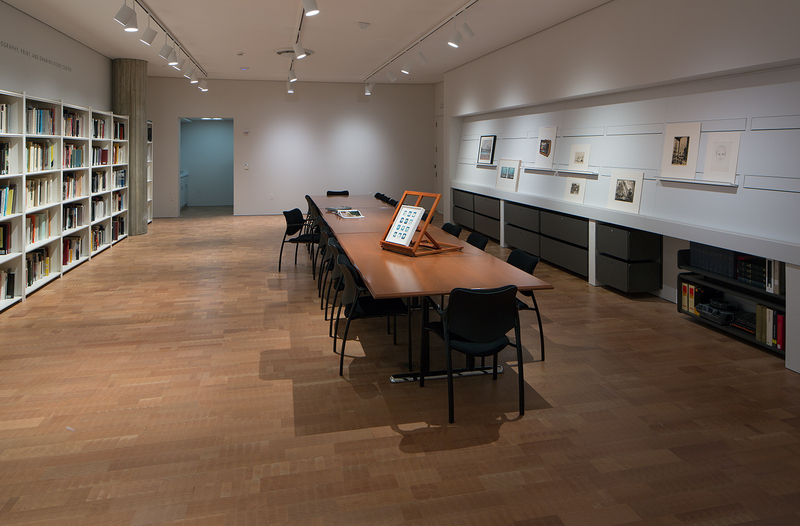 The Herzfeld Photography, Print, and Drawing Study Center provides visiting scholars and students access to the Museum’s extensive collection of works on paper, only a small fraction of which is on view in the galleries at any given time. The George Mann Niedecken Archives, Landfall Press Archives, and portions of the Brooks Stevens Archives are also accessed through the Study Center. The Study Center is located on the lower level of the Museum, adjacent to the Herzfeld Center for Photography and New Media. Tuesdays–Fridays, 10:00 a.m.–12:00 p.m. and 1:00–4:00 p.m.
Research Appointments: please contact the Study Center at least 2 weeks in advance to arrange an appointment. Requests should be as specific as possible. Appointments generally last 1-3 hours. Class Visits: Instructors (College and upper level high school), please contact the Study Center at least 4 weeks in advance to arrange a group visit. Class visits are typically capped at 20 students, with a maximum of 20-25 works brought out for viewing. Visitors are encouraged to consult the collections page before making an appointment. (Please note, however, that not all works are online). Pencils only may be used for writing or sketching (no. 2 or HB). Food, drink, and chewing gum are not permitted. Library materials do not circulate outside of the Herzfeld Study Center. Cell phones must have their volume turned off. Coats and bulky bags must be checked upon arrival at the Center.